This blog is a repost of an article originally published in the Spring 2019 edition of TribalNet Magazine. Just one year into FirstNet’s five-year buildout, the network has seen an increase in LTE coverage by more than 50,000 square miles. As the network continues to expand, the First Responder Network Authority (FirstNet Authority) and its network contractor AT&T are working to ensure that FirstNet and its unique capabilities are available to all first responders — whether located in dense, urban sprawls or remote, rural regions. As part of this effort, AT&T launched a fleet of 72 deployable network assets to provide extra coverage for emergencies or in support of large planned events. These deployables, which include Satellite Cell on Light Trucks (SatCOLTs), are available upon request and at no cost to FirstNet subscribers. Tribal public safety agencies that are subscribed to FirstNet are already taking advantage of these solutions to bolster communications during emergencies and planned events. 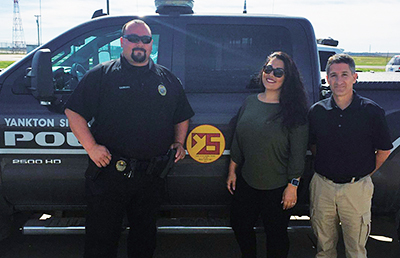 Public safety departments alerted the FirstNet Authority when they recognized the need for dedicated deployable assets, and we are pleased to now support this program to help public safety across the country, including in tribal communities. As the network continues to evolve, the FirstNet Authority is collaborating with federally recognized tribes to identify public safety communication needs, gaps, and potential solutions. The team is using this dialogue to inform future solutions for the network and ensure the tribal community’s voices are heard. For more information about connecting with FirstNet or to request a tribal consultation, email the Tribal team directly at tribalconsultation@firstnet.gov.